Evelyn wore a Rocky S peach pink gown on the red carpet. 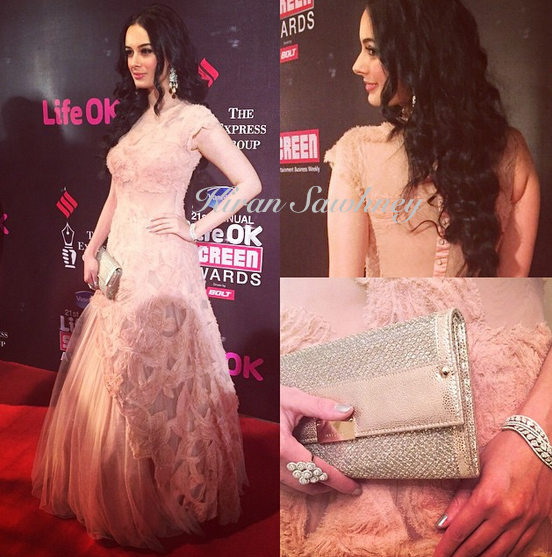 She teamed it with jewelry from Gehna jewelers and Jimmy Choo clutch. Evelyn Sharma has always reminded us of barbie doll. This ballroom gown on her, totally makes her look like one. This is not a compliment. We are not too fond of the gown.